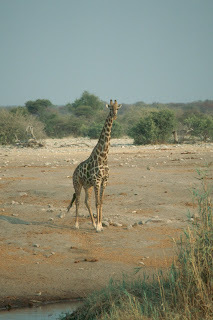 veld often overgrassed, especialy around watering holes etc. game congrates around watering holes, rivers etc. The "Kings Cup Snow Festival" is the first event of the season from 03 - 06 July 2011. During the festival competitions in Alpine Skiing Giant Slalom, Giant Slalom Snowboarding, Ski Slalom and Bum Board Knock Out will take place. The "First Ascent Ski Festival SA Championships" will take place 24 - 28 July 2011. This event has Slalom, Giant Slalom and Dual Slalom competitions. The "SA National Snowboarding Championship" from 29 - 30 July 2011 will have Slopestyle Qualifiers on the 29 and the Finals on the 30. Award ceremony and party will be held Saturday the 29th after the finals. South African National Parks (SANPArks) will introduce a 1% community levy from next year. All new accommodation and activity bookings made with arrival date of 01 June 2012 onwards will include it. The objective of the levy is to respond to the diverse needs of communities as well as designing sustainable and strategic partnerships with various communities adjacent to national parks under SANParks management. The levy will therefore be used to create amongst others health and education facilities, such as clinics and schools. It will also assist in kick starting water and sanitation projects in those communities. Nice move, SANParks! South Africa: SA National Taxi Council to launch low-cost airline "Santaco Express"
South Africa's news website news24.com is reporting that the SA National Taxi Council (Santaco) will be launching a low-cost airline in September 2011 as one of many initiatives planned by the council to reform the taxi industry. The new budget airline will be named Santaco Express and will initially operate one or two flights a day between Lanseria in Gauteng to Bhisho in the Eastern Cape, and then on to Cape Town International Airport. The first official take off is planned for November 2011. Flights with Santaco Express will be operated by Air Aquarius (AirQuarius Aviation? ), which works with SA Express and SA Airlink. Air Aquarius (AirQuarius Aviation?) will also supply the 100-seater aircraft, crew and the necessary aviation licences. Santaco is expecting to take over the aviation operation from Air Aquarius within 18 to 24 months. update (30 Sept 2011): The Lake of Stars festival has finally begun. To get some first impressions on what its like on the shores of Lake Malawi, watch the video below! And to everyone who is there - enjoy the festival! We will come to Malawi to join you in 2012! 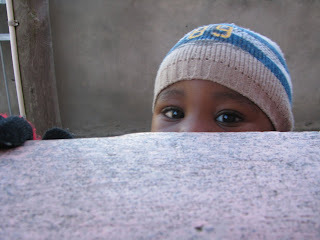 update (23 Aug 2011): See Africa Differently, an initiative brought to you by Comic Relief, is giving away a pair of flights, accommodation and ticket to the festival. To be in with a chance of winning, all you have to do is to tell them on their facebook page why you want to go to the Lake of Stars festival. Good Luck! Competition closes 12 Sept. 2011. The international music festival Lake of Stars is happening from 30 September - 02 October 2011 on the shores of Lake Malawi in Malawi. The eighth edition of the award winning festival will take place at the Sunbird Nkopola Lodge in Mangochi. The event promotes Malawian music and tourism, raises funds for charity and provides travellers and Malawians alike with the opportunity to enjoy incredible live music in an exotic and beautiful location. The 2011 Lake of Stars Festival has a unique line up of top Malawian musicians along with artists from across Southern Africa (such as Freshlyground) and Europe (such as Foals). Many more artists are to be announced - check the festival's website for updates! There are plenty of accommodation options, ranging from on site camping to Sunbird Nkopola Lodge itself and nearby Makokola Retreat. For more info about the Lake of Stars Festival visit their website! In this video Earth-Touch is taking a closer look at dolphins, one of the most intelligent animals in the ocean, and is explaining the the creature's complex social structures, sophisticated communication strategies and is examining the role they play as primary predators in South Africa's annual Sardine Run. Kudos at Earth-Touch! Another great video by you guys! btw - if you are in the area, don't miss out the Sardine Festival 2011 in and around Scottburgh, which started on 04 June 2011 and lasts till 28 Aug 2011. National Geographic presents some interesting facts about lions in general and lioness "Ma di Tau" in particular in their promotional video for their movie "The Last Lions". Example? Lions can devour 55lbs (25kg) of meat. That's the same as an average American adult eating 120 burgers in one sitting. In a festive ceremony held at Johannesburg's OR Tambo International Airport, Germany's flag carrier Lufthansa named one their Airbus A380s "Johannesburg". Following the naming ceremony, the aircraft departed for a scenic flight to the Western Cape, performing a low overflight of Cape Town and the Table Mountain. Johannesburg became Lufthansa's third A380 destination in September 2010, right after Tokyo and Beijing. Meanwhile, New York, San Francisco and Miami have been added as further destinations served by Lufthansa's new flagship. As of 30 October, when the winter timetable goes into effect, Lufthansa will operate a daily A380 service on its Frankfurt-Singapore route as well, bringing the number of A380 destinations to seven. The UNESCO World Heritage Committee has inscribed the Kenya Lake System in the Great Rift Valley on UNESCO's World Heritage List. The lake system comprises three inter-linked relatively shallow lakes, namely Lake Bogoria, Lake Nakuru and Lake Elementaita. All lakes are located in the Rift Valley Province of Kenya and are covering a total area of 32,034 hectares. The area around the three lakes is home to 13 globally threatened bird species and some of the highest bird diversities in the world. It is the single most important foraging site for the lesser flamingo anywhere, and a major nesting and breeding ground for great white pelicans. 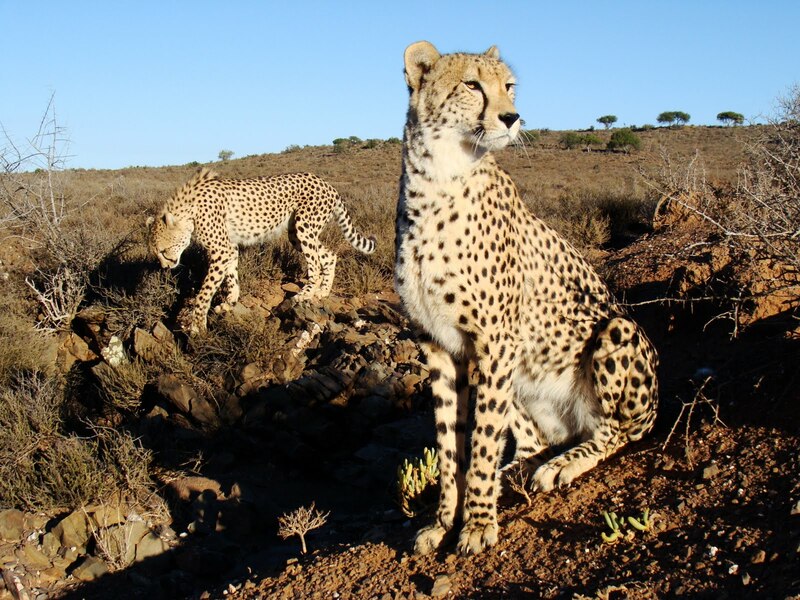 The area also features sizeable mammal populations, including black rhino, Rothschild's giraffe, greater kudu, lion, cheetah and wild dogs and is valuable for the study of ecological processes of major importance. South Africa's third largest protected area, the iSimangaliso Wetland Park (formely known as Greater St Lucia Wetland Park), has released a pack of 13 of Africa’s critically endangered African Wild Dogs into the uMkhuze section of the Wetland Park as part of the drive to secure the species future. All of the uMhkuze wild dogs have been fitted with VHF radio and tracking collars. They will als be monitored daily to determine their movements. 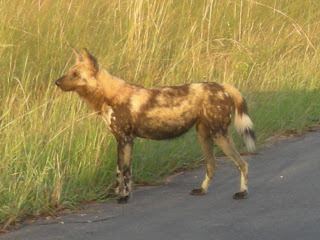 The introduction of the highly endangered wild dogs is part of iSimangaliso’s integrated conservation strategy with Ezemvelo KZN Wildlife to re-establish the full range of game that became extinct in this part of southern Africa more than 75 years ago, including elephant, black and white rhino, tsessebe, oribi, cheetah and buffalo. Fort Jesus in Kenya's port town of Mombasa has officially been included in UNESCO's list of world heritage sites. The Fort, built by the Portuguese in 1593-1596 to protect the port of Mombasa, is one of the most outstanding and well preserved examples of 16th Portuguese military fortification and a landmark in the history of this type of construction. The Fort was built in the shape of a man (viewed from the air), and was given the name of Jesus. The property covers an area of 2.36 hectares and includes the fort's moat and immediate surroundings. Fort Jesus became a Museum in 1962. South Africa's flag carrier South African Airways was named the Best Airline Africa at the 2011 World Airline Awards, in a ceremony held in the French Air and Space Museum at the Paris Air Show. The runners-up in this Best Airline Africa category are Air Mauritius, taking 2nd place in this category, ahead of Kenya Airways. South African Airways also won a second award for Airline Staff Service Excellence Africa. The runners-up in the Airline Staff Service Excellence Africa category are Kenya Airways taking 2nd place in the category, ahead of Kulula in 3rd position. Voted by over 18.8 million airline passengers from 100 different nationalities, the World Airline Awards™ are the most prestigious and respected quality recognition of front-line product and service standards across the world airline industry. With 200 airlines featured, the awards reflect customer satisfaction levels across 38 different items of airline front-line product and service. Ok, don't listen to the music, but focus on the pictures and videos and you'll get blown away by the natural beauty of Namibia's landscapes... simply incredible! Kudos to photographer Martin Harvey! HostelBookers, the budget accommodation specialist, has today launched its summer sale, offering customers the chance to book selected properties at discounted prices from 20% off their normal rates. Customers can plan the perfect getaway and choose from a vast range of quality properties across 24 top destinations, including Prague and Rio de Janeiro. Bookings need to be made by 31st July 2011and travel must be completed by 31st August 2011. European-based properties participating in the campaign include Hotel Dama. Renovated in 2011 and centrally located, this cheap Rome hotel is just ten minutes from Termini station. Restaurants, shops and entertainment are also close by. The hotel features tastefully furnished en suite guest rooms equipped with every modern comfort. Now with 40% off. Lisbon Calling is a newly-established hostel, fully renovated and located in the heart of the historic city centre. The main tourist attractions, popular shops and Bairro Alto nightlife are all within walking distance. The decor is stylish and combined with the staff’s warm welcome – it is not surprising it is one of HostelBookers’ top properties. Now with 40% off. In Ireland, The Jacobs Inn is a Dublin hostel located in city centre, just a stroll away from Temple Bar and Trinity College. Free events such as Irish Dance Parties, 'Live @ Jacobs' music concerts, meal nights, daily walking tours, movie nights and salsa nights are regularly held at the hostel. Free Wi-Fi, a Playstation, DVD collection and a pool table area are also at guests’ disposal. Now with 20% off. The best summer sale deal in Prague is at the Plus Prague hostel. The property boasts an indoor swimming pool, sauna, a late night bar and a family-run Italian restaurant. Unique to Plus Prague is “Plus Girls”, a girls only area with big bathrooms, cosmetic tables, large mirrors and hairdryers. Now with 30% off. Be Hostels Mar is located in the heart of Barcelona's Raval neighbourhood, a multicultural and trendy area close to the Contemporary Art Museum and many other galleries. It is also 10 minutes from Plaça Catalunya and the famous Las Ramblas. The top Barcelona attractions are within walking distance including the Picasso Museum, the Gaudi houses, the cathedral and even the beaches and the harbour. Now with 20% off. Rwanda's national airline RwandAir has announced plans to add extra frequencies on the Kigali <> Nairobi route, as well as a fourth weekly flight on the Kigali <> Johannesburg route beginning 01 July 2011. While maintaining the daily 7am and 4pm departures from Kigali to Nairobi, the airline has introduced 11am flights every Tuesday, Wednesday, Friday, Sunday and 8.45pm flights every Monday, Thursday and Saturday. The airline will be taking delivery of two new Boeing 737-800 this August and September respectively. The new jets, which will be the first of RwandAir’s fleet to be fitted with inflight entertainment system, are expected to change the airline’s on-board experience for its customers especially on the Johannesburg and Dubai routes. Tanzania's government has informed the UNESCO World Heritage Committee that the North Road project through the Serengeti National Park, which would have split the northern part of the Serengeti wilderness and seriously disturbed the migration patterns of animals there, will get reconsidered. The government of the East African country will instead continue with its proposal to build a highway through the north but without the 53 km stretch of gravel road crossing the national park. According to Serengeti Watch, which campaigns to preserve the Serengeti's ecosystem, Tanzania's decision to scrap the plans to build the highway is no cause for celebration as they expect that development will continue. Serengeti Watch's interpretation of Tanzania's decision to scrap plans (via their newsletter from 23 June 2011): A battle has been won, but the struggle to save the Serengeti goes on. Roads will still be constructed up to the edges of the park. The pressures on the Serengeti, including a commercial corridor to Uganda, still exist. The highway across the Serengeti has been proposed three times now, and can be raised again. But yes, let's congratulate ourselves on the work we've done. Gautrain 101 - all about the train, the tickets, the fares and more! The Gautrain is an 80km mass rapid transit railway system in South Africa's province Gauteng which links Johannesburg, Pretoria, and OR Tambo International Airport. To get to know the Gautrain and to familiarise its users with the system, Gautrain produced some "101" videos. The service is still new to the market and therefore probably to new for most guide books, so if your flying into OR Tambo and planning to use the Gautrain, the videos may be quite informative. The Entabeni Private Game Reseve, situated in the World Heritage "Waterberg Biosphere" of the Waterberg region, is a 22000 hectare malaria-free conservancy. Because of the 5 different ecosystems, namely bushveld, ravines, savanna, sandy wetlands and wooded hills, within the reserve, game viewing and bird watching are most rewarding in terms of the variety of species to be seen. In the video, the head ranger of the Entabeni Private Game Reseve, John, takes us on a little elephant safari and explains about the geography of this beautiful area in the Limpopo province of South Africa. And those of you who have been on a guided safari will recognise the very ranger-like way of telling stories and sharing their knowledge. Love it! The national airline of Madagascar, Air Madagascar, is with immediate effect offering weekly flights between Nosy Be's Fascene Airport (IATA: NOS) and Johannesburg's OR Tambo International Airport in South Africa. Nosy Be, an island located off the northwest coast of Madagascar, is the country's largest and busiest tourist resort. The Air Madagascar, which is on the EU black list and therefore unable to fly to Europe at present, is operating flights every Saturday, departing Nosy Be at 10:10, arriving in Johannesburg at 13:00. Flights then depart Johannesburg at 14:10, arriving in Nosy Be at 18:55. Britain’s flag carrier British Airways and German airline airberlin have signed a new codeshare agreement, which will come into effect on 5 July and will allow British Airways passengers to purchase flights on airberlin. The new scheme involves over 40 routes spanning the European continent and enables British Airways customers to book flights to various German and international destinations on a single ticket. The deals makes it also easier for airberlin customers to travel to and via the UK thanks to new flights to London Stansted and Gatwick airports, which provide connections to destinations throughout British Airways domestic and European network. British Airways is also sponsoring airberlin's entry into the oneworld alliance, which is expected to be finalised by April 2012. South Africa's third largest protected area, the iSimangaliso Wetland Park (formely known as Greater St Lucia Wetland Park), released the first rhino to the Ozabeni section of the park in about 110 years. A total of 28 rhino, 13 black and 15 white rhino, are being re-introduced into the previously unfenced 66 000ha wilderness section of the park. All rhino introduced into Ozabeni have been fitted with horn transmitters to enable real-time tracking for biological and security monitoring. Ozabeni covers about 46000 hectares. It lies north of Lake St Lucia, west of the Maputaland Marine Reserve, east of the Mkuzi River and swamps, and south of Sodwana Bay National Park and the town of Mbazwana. Ready for a good doze of daydreaming? Looking for some minutes to relax? Let this video inspire you - Heights of Southern Africa! All pics in the video were taken in South Africa and Lesotho. Kudos to Pierre Tremblay who shot the pics and compiled the video! Amazing safaris with the aim of spotting the Big Five, breathtaking views, unspoiled nature, great food and friendly people. This is what people think of when travelling to Africa. Khaya Volunteers wants you to see all this. And more. When joining a volunteer project of Khaya you can visit some of the best places on earth, but also go off the beaten track. With volunteer projects in both South Africa as well as in Tanzania, you will have a great time without a doubt! Experiences. That is what most people want nowadays. Volunteering in South Africa or Tanzania with Khaya is definitely an experience. A trip that leaves you with more memories to cherish than when you are just travelling around. As a volunteer you will meet lots of locals and thus experience one of the real African cultures. It is also possible to be a helping hand in the raising of majestic animals like the cheetah. You can give them back what humankind almost took away from them: their natural habitat. This all sounds amazing of course, but the most important thing about volunteering is that you can help others. Khaya chooses its projects with absolute care to make sure that the right people receive your help and efforts. You can think of helping with computer lessons, teaching English, teaching cheetahs how to hunt, organizing sports activities. There is so much you can do to improve the current situation of both the people and the animals of these countries. An advantage of joining Khaya is that you will only have to think about what’s for dinner because everything from project to accommodation will be arranged for you. Furthermore support is provided throughout your entire stay. All we need from you is a lot of enthusiasm and the right spirit to get things done! Are you ready for an amazing experience? Check out our website for more information on the several projects and if you have any questions, please feel free to contact us! 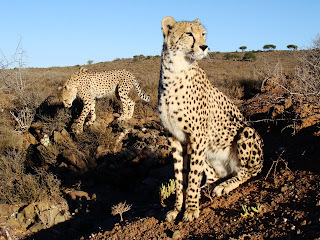 Are you looking for (overland) tours in Southern & Eastern Africa in August, September or October 2011? Check Kumuka's late deals for some great discounts! Please note these trips can change day to day without notice, so don't delay! Namibia Wildlife Resorts, the state owned enterprise mandated to run the tourism facilities within the protected areas of Namibia, just announced some great winter specials valid for new bookings from 20th June – 31st July 2011. The specials are subject to availability. For more info please download the "winter special" pdf-flyer! Guest post: The White Bushman!